Burlington Fireplace is the premier Custom Fireplace and Chimney Sweep Service provider in Southeast Wisconsin from Racine to Janesville, Milwaukee, Glendale to Waukesha and west to Lake Mills area. We offer top brands of Gas Fireplaces, Wood Stoves, Pellet Stoves, Wood Burning Fireplaces, Fireplace Inserts, Gas Burning Stoves, Outdoor Fireplaces, Pre-fab Fireplaces and much more. Experience over 30 beautiful burning displays by visiting our showroom. Let one of our knowledgeable staff assist you on your journey to adding a beautiful and economical fireplace to your home. The quaint and intimate setting of Burlington Fireplace is the dream of owners Richard and Terese Hendrickson. Ever since opening their doors in 1995, the focus has always been on providing a professional yet personal experience to all of their clients. This approach has led to building customer relations throughout much of Southeastern Wisconsin. Bring your fireplace project ideas to our expert staff and let us guide the way, from start to finish, in putting the warmth and glow back into your home. 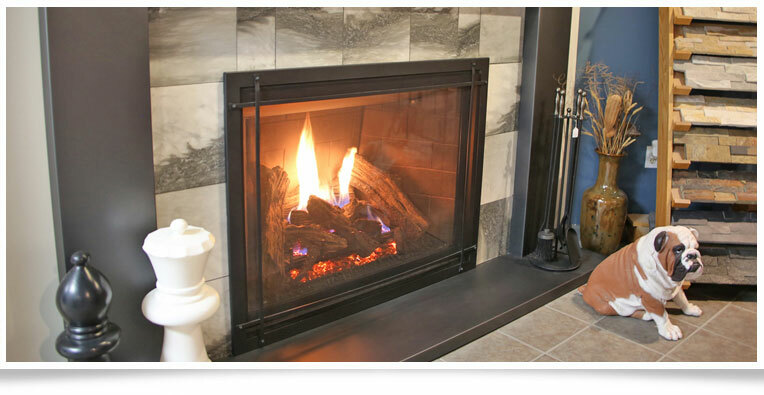 If you are considering a Gas Fireplace, we are featuring a superb choice - the Intrigue Gas Direct Vent Fireplace by Ambiance. This one-of-a-kind Gas Fireplace was actually designed by over 100 Hearth Store owners collaborating with the manufacturer to create the Gas Fireplace with all of the features that their customers would love. We took part in that process and would love for you to visit our showroom to see the result! My husband and I recently moved into a new home and were thrilled to finally have our very first fireplace.However, we admittedly knew very little about how to care for one, let alone how one works.After being stood up for an appointment by a local fireplace company for a chimney cleaning, we reached out to Burlington Fireplace.They were able to make a next-day appointment and sent out a gentleman named Josh.He arrived within the scheduled time frame and was both pleasant and extremely knowledgable, explaining to us the different components of our our fireplace and how each worked.He inspected our chimney and cleaned it - leaving the area cleaner than when he arrived!With all of the chaos that comes with moving to a new home, it was a relief that servicing our fireplace was such a hassle-free experience.Thank you Burlington Fireplace for your great customer service and professional staff.